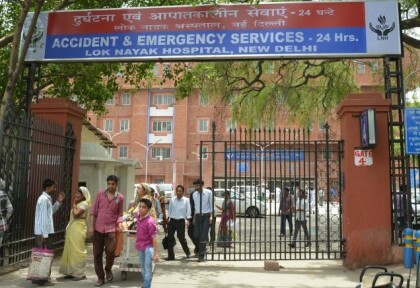 New Delhi: Delhi government has withdrawn the order to relocate the office of the Director General of Health Services (DGHS) to LNJP Hospital campus following protest by the faculty of Maulana Azad Medical College, associated hospitals and an umbrella body of doctors. “As mentioned in email dated June 11, no insult of the learnt members of the faculty was intended the aforementioned order and no attempt to decapitate the institution was ever conceived,” said Delhi government. “The faculty of Maulana Azad Medical College have wrongly interpreted the said order and are considering that it would lead to interference in day to day working of medical professionals.” “In view of aforesaid, the order dated May 31 stands withdrawn with immediate effect,” said a Delhi government fresh order issued to this effect. Lok Nayak Jaiprakash Narayan (LNJP) Hospital is governed under the Maulana Azad Medical College (MAMC). As per the old order, the office of the DGHS was proposed to be moved to the building block of LNJP in which its Medical Superintendent’s office is located. The faculty of MAMC, associated hospitals along with representatives of Federation of Resident Doctors Association (FORDA) had objected to the decision and had written to Delhi Lt Governor Najeeb Jung in this regard.